At Luvaas Cobb, your best interest is our first concern. The law is simply the tool we use to represent and protect those interests. First and foremost in each client relationship, we work to develop detailed knowledge of your needs and goals, so that problems — and oftentimes opportunities — can be anticipated and acted on at the earliest chance for success. Whether you are an individual, a company, or a public entity, our firm has been sized and optimized to work for you. 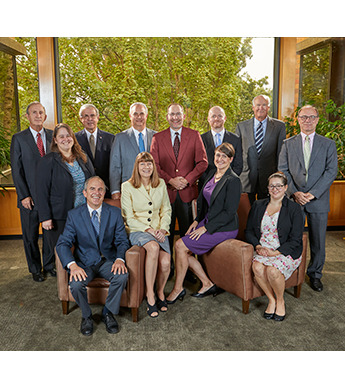 As one of the oldest and most respected full-service transaction and litigation law firms in the southern Willamette Valley, we’ve had the time and experience to refine a law firm model that brings the best of both legal breadth and depth under one roof, and a practical service model that adapts to fit your unique size and situation. Our firm’s size and structure intentionally reflect our commitment to individualized and personal service, but also to efficient and cost-effective strategy. 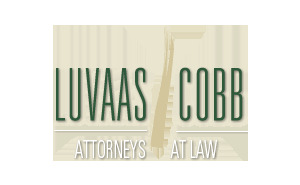 At Luvaas Cobb, you will have a personally assigned primary attorney who knows your business or legal issue, represents your interests, and who serves as a single point of contact, but who also is able to draw immediately on the resources of a talented team of colleagues for additional insight and specific expertise for your situation. That puts a lean and powerful team behind you to advise, research, plan, train, and act on your legal issues and resolve disputes. And although we favor approaches that reduce or eliminate the need for litigation, when needed our trial attorneys are skilled, seasoned, and widely known and respected statewide for their effectiveness in court.